Our joy in life is to be an innocent, pure, moral joy. When we look elsewhere in Ecclesiastes and elsewhere in the Bible, we find that God gives us boundaries and tells us to live within them. 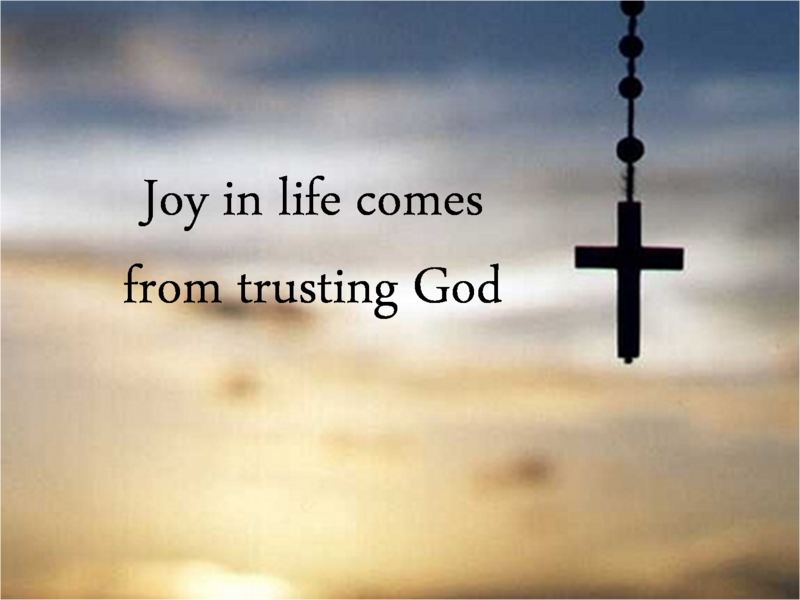 God cares for our joy so much that he tells us what to avoid and what to pursue in order to find the highest joy. These days of youth and all of their pleasures are lived out before God who will weigh and assess each one of them. Our challenge in all of life is to believe what God tells us and to live within the good boundaries he provides, trusting that this is where we will find the greatest and most lasting joy. All that comes between life and death is vapor. It isn’t quite meaningless and it isn’t quite futile, but it is vapor, something that is here and then gone, like dust blown away by the wind, like steam that rises from the kettle and disappears into the air. What we do in this life matters. What we do in this life has real significance, but nothing here will ultimately satisfy because nothing here will last forever. Earlier in Ecclesiastes the Preacher says that God has put eternity in our hearts. How could anything less than what is eternal give us ultimate satisfaction? We were made for this, but we were made for so much more than this. This is a warning for us that we are surrounded by false, fraudulent joys, things that try to convince us that they will satisfy, but they will only leave us empty. Really, this is a warning that we will always be tempted to be idolaters, to make the gift into the god. We find the greatest joy when we accept the gifts for what they are and acknowledge that they, like everything else in this world, will end. The sun that rises will set again. That sunrise challenged me anew with both the brevity of life and its signifiance. That sunrise challenged me to grasp the fullest joy and signifiance from each day, to acknowledge that God tells me where the highest joys will be found, and to know that misery often masquerades us joy. This life is vapor, but this life matters. 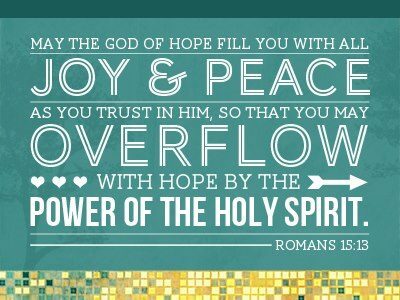 It matters to God that I pursue joy—the truest and highest joys—and that I pursue it for his glory. The Preacher’s great concern is that youth does not go to waste. He wants us and commands us to enjoy the days of youth—not just the days of childhood, but all of the days before old age comes. “So if a person lives many years, let him rejoice in them all … Rejoice, O young man, in your youth, and let your heart cheer you in the days of your youth” (Ecclesiastes 11:7-9). He speaks to each of us and tells us to take advantage of this time to do what makes us happy, what brings us joy, what we are passionate about. These are the days when we are young and strong, energetic and optimistic. These are the days when the possibilities are limitless, when the whole world lies open before us. He wants us to do what we love and to love what we do, and he wants us to do it now, in the days of youth. He knows that a day will come when joy will be far more difficult to find. If we are going to be joyful in old age, we will need to be joyful now and carry joy with us into those days. This Preacher has been speaking on behalf of God and teaches us that the Lord wants us to enjoy life and to acknowledge all the good things life brings. Isn’t that amazing? God wants us to enjoy life! God wants us to linger over a good cup of coffee and walk hand-in-hand with the person we love and savor that delicious meal and enjoy making love and appreciate the beauty in a rainbow. These are his gifts and he wants us to enjoy them. Life is a gift and he wants us to enjoy it. The Preacher is so concerned with our joy that he gives us three joy-enhancers—three things that will help us get every bit of joy we can from these years. These are things each of us would do well to keep in mind. The Preacher says, “If a person lives many years, let him rejoice in them all; but let him remember that the days of darkness will be many.” He wants us to savor life as we live it. If we are granted many years, we are free before the Lord to live them all without sadness and without regret. But even as we take joy in life, even as we live with youthful exuberance, our Preacher calls us to have an awareness that the light of day will eventually give way to the dark of night. The sun that rises will need to set again and darkness will come. The joy of youth will be followed by all the difficulties of old age and the difficulties of old age will be followed by death. It is right and good to really live, to live all the way, but we live best when we keep one eye on eternity, when we keep in mind that these good days will come to an end. Acknowledging the end helps us. It reinforces that we only get one chance, one opportunity. This life cannot be lived well in retrospect. It can only be lived well in the moment. None of us will get a second chance to do life well; none of us will get a second chance to live today well. So don’t waste your day, don’t waste your youth, and don’t waste your life! I’ve been reading quite a few books on evangelism lately for some of my Mdiv work at Trinity. I don’t agree with all that I have read, but one of the things that I think I’m learning is the simple idea that evangelism is less of a “deal” that we must close and more of a journey, a conversation we must initiate. 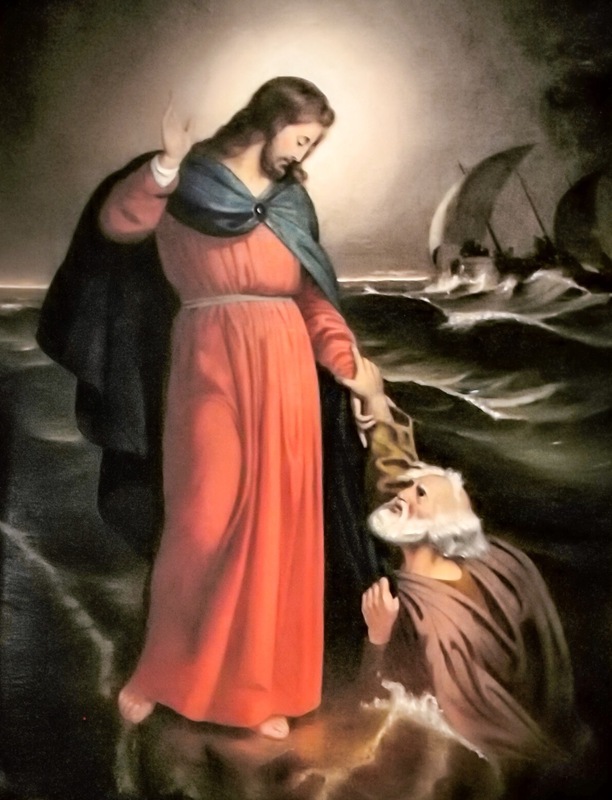 The passion to win people to saving knowledge of Christ is good, but sometimes in our zeal we misguidedly think we, and only we, are the ones who have to witness the conversion. And we put all kinds of undue pressure on ourselves to get it all right. In reality, it is the Holy Spirit who does the saving. We are simply ambassadors. We share this great story. Empowered by the Holy Ghost, we go into the world and deliver the message. And sometimes it is our message that needs tweaking. For instance, many people think witnessing is simply applying a few verses in Romans or Galatians or John and sort of hitting someone with a dump truck of salvation verses. This method may work with someone who has a base in Protestantism or Catholicism. Or it may work with someone who is at the end of years of careful gospel nurturing by someone else. But by and large, starting with the dump truck is ineffective and turns people away. Instead, we should begin by initiating conversation, building a friendship, establishing a repoire. And we might approach the gospel in ways that share the entire narrative rather than skipping ahead to the New Testament. My friend didn’t bow the knee on the spot and trust Christ. But the dialogue was open and he was intrigued. You see, most people don’t even know what the Bible’s true story is. They react against what they think it is or some misguided ways Christians have presented the gospel message. And again, having been released from the pressure of “closing the deal” so I could have another “notch on my belt” I was free to share only what the Spirit led me to share and then direct the conversation that didn’t make my friend want to shut down and never talk about it again. 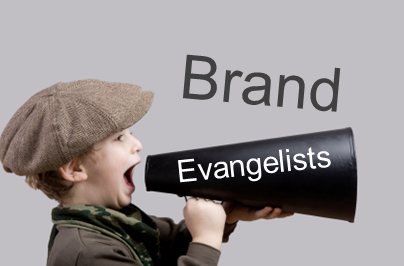 We have to start looking at evangelism as less than a one-time, do or die opportunity and more of a journey. The Spirit is working and you may be one of several Christians used by God to win their hearts. When we approach evangelism this way, it takes much of the fear out of it. We don’t have to get out all of our Christian sales pitch in one moment. Instead, we can feel our way around, depend on the Spirit’s leading, and apply the gospel to each person’s differing lives. Sometimes your witness may involve a detailed explanation of the gospel story. Sometimes it may be a question or two that merely cracks open a seemingly shut door. Sometimes it may be as simple as doing a kind work of charity for a person that gets them to ask about why you do it. Other times it may be as simple asking someone to that church function. The key is to be obedient to the Spirit’s call and be confident in His ability to convert seemingly stone-cold hearts. (18) A wrathful man stirs up strife, But he who is slow to anger allays contention. (1) A soft answer turns away wrath, But a harsh word stirs up anger. (32) He who is slow to anger is better than the mighty, And he who rules his spirit than he who takes a city. (11) The discretion of a man makes him slow to anger, And his glory is to overlook a transgression. (9) Do not hasten in your spirit to be angry, For anger rests in the bosom of fools. (7) Rest in the LORD, and wait patiently for Him; Do not fret because of him who prospers in his way, Because of the man who brings wicked schemes to pass. (8) Cease from anger, and forsake wrath; Do not fret—it only causes harm. (8) The LORD is gracious and full of compassion, Slow to anger and great in mercy. (31) Let all bitterness, wrath, anger, clamor, and evil speaking be put away from you, with all malice. (8) But now you yourselves are to put off all these: anger, wrath, malice, blasphemy, filthy language out of your mouth. (21) Fathers, do not provoke your children, lest they become discouraged. (8) He who sows iniquity will reap sorrow, And the rod of his anger will fail. Proverbs 14:12 says, “There is a way that seems right to a man, but its end is the way of death.” The first clause can be paraphrased, “There is a way that man thinks things should be.” This is where conflict arises: Two people see things differently. The question is, then, who is to say that it should be the way we see it? In the wake of the Aurora theater shooting, I noted here on BreakPoint that there is a time to speak and there is a time not to speak. For example, Job’s friends were wonderful in how they dealt with his tragedy until they opened their mouth. When they started to speak, they — according to God’s indictment several chapters later — spoke words without knowledge by trying to offer specific reasons for the evil Job was enduring. The Apostle Paul was quite clear on what we are to do immediately in the face of tragedy when he said “Mourn with those who mourn.” As Christians, we do have many answers that the outside world lacks — about the source and depth of human evil and the hope of new life in Christ — and when it is appropriate, we ought not be silent. But only when it is appropriate. There will be time to seek answers about tragedy — to probe the why questions of events like these, but Friday was not that time. And Twitter and Facebook are not that place. And yet, far too predictably, in the face of great grief, tragedy and hurt — people with an axe to grind immediately began grinding. And our social media tools allow us to do it from much more loudly and anonymously, from a completely detached place. And too many Christians joined the noise by grinding their political, religious and moral axes too loudly and too early. Look, I’m not saying we shouldn’t speak. We should. And, I am certainly not saying we shouldn’t speak our convictions argue for truth, sin, morality and redemption. We should in time. But immediately lobbing our political or theological verbal bombs via Twitter or Facebook like “This is what happens when you take prayer out of schools” or “It’s not a gun problem, it’s a sin problem” or “Here’s another reason to abandon the public schools” is just not something Jesus would have us do. Speaking comfort, grace, mourning and prayer on Friday? Yes! And Twitter and Facebook might be appropriate places for that. But pontificating and posturing? No. And especially, not for the Christian. Why do I think this? Because of the Incarnation that we celebrate next week. God became flesh. God, the creator of all people and all things, invaded the deep depravity and brokenness of this world and our hearts. He did not just hand us a book to read or proclaim moral truths for us to observe. He came Himself. God made Himself known in Christ as the God willing to enter the suffering of His Creation. And, thirty some years later this same God walking around enters into the suffering of Mary and Martha before raising their brother Lazarus from the dead. He weeps with them. There is a reason we’re told about the Life of Jesus Christ and not just about his birth and death. His life teaches us that those made new by Christ are asked to do more than just speak this truth at the world. We are asked to, like our Savior, embody truth in the world. Escape is never an option for a Christ-follower. And, you and I will have plenty of opportunities in this broken world — and not just from afar via social media, but from our own backyard. We may need to comfort a friend whose child has been diagnosed with cancer or grieve with a neighbor who lost mother or father or child or do the shopping for a family member at the bedside of her dying husband or drive an elderly acquaintance back and forth for medical treatment. Christians alone are able to offer a compelling hope to the world in the midst of great tragedy, but it’s done with more than words. Especially poorly timed words.